Heat pumps provide heating and cooling in one system. WHY ARE HEAT PUMPS SO CONVENIENT? In Ottawa, heat pumps are now a popular, effective, and efficient way to heat and cool your house all year round. Heat pump systems act like an air conditioner in the warmer months and heat your home in the cooler months. They are a very efficient way to reach your ultimate comfort level and save you money on energy bills. The Bryant Evolution® Series Heat Pumps are exceptionally quiet, so quiet your family won’t even know when it’s on. We have a selection of heat pumps in our Ottawa location to meet the needs of your home and budget. To learn more about heat pumps or speak to an expert about which option is a good fit for you, call Ottawa Gasco – Residential Heating & Cooling Services in Ottawa for a free consultation and estimate at (613) 832 – 4001. Perfect Comfort. Perfect Humidity. PERFECT! 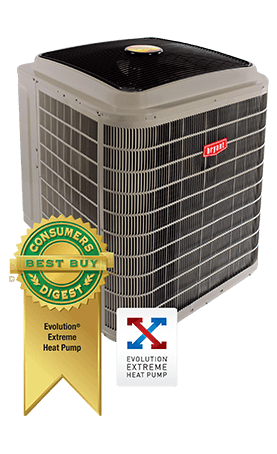 See how the Bryant Evolution® Series Heat Pumps maintain the ideal humidity in your home. Taking Comfort and Quiet to Whole New Level Small but powerful, this unique heat pumps uses inverter technology and a rotary compressor to deliver variable-speed control. That translates to highly efficient heating and cooling operation optimized to current conditions down to 25% capacity for ultra-quiet, even-temperature comfort. What’s more, it can provide exceptional summer dehumidification. Get the features, specs, & reviews here. Is a heat pump the right solution for your home? Talk to the local Ottawa area Bryant heat pump sales, service, and installation experts. 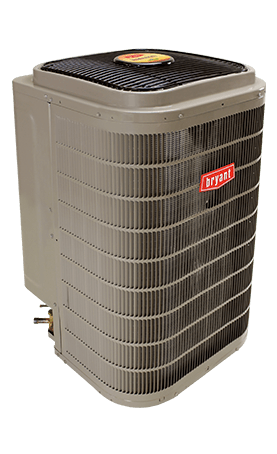 Check out all the different Bryant Heat Pump model at Bryant.com or better yet, just call us and let one of our experts guide you to the right choice. On behalf of my husband and family, I want to say that I can’t thank you enough for your persistence in identifying several indoor contaminants that went unnoticed for many years in our home.